Divine Construction Ltd are builders of fine new homes and renovations. We are a small Kerikeri building company where our business owner works directly with the client to cater for the their specific needs. Divine Construction Ltd prides itself on being specialists in elegant new homes and renovations. Our business was founded in June 2011 to specialise in the custom build of homes to each client's specifications within the Northland and Bay of Islands area. 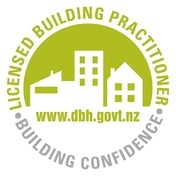 Divine Construction Ltd are members of the Certified Builders Association of NZ and are Licensed Building Practitioners. Our husband and wife team is led by Joshua Alley, who brings over 12 years of building experience and qualifications. We offer the 10 Year Halo Building Guarantee on new houses and alterations. Backed by Lloyds of London, this guarantee can be passed on to the next home owner and covers structural defects for 10 years.